Insurance of your belongings is the best way to feel secure about your valuable items. And if you are a travel enthusiast who is looking forward to trekking in the Everest Base Camp, insurance of your belongings might not be enough for you. Trekking in the Everest Base Camp means that you deal with the harsh climatic conditions that can be mountains can offer. There can be incidents where you injure yourself. The injuries might be caused by slipping, pulling a muscle or getting down with altitude sickness. And, in the remoteness of the mountains, getting people to treat your illnesses means that you might have to pay an extremely high amount of money even for the treatment of the simplest of diseases. And if you have to evacuate yourself from a helicopter, you might see your expenses of the trip tripled or even quadrupled. Besides, you can’t discount other forms where you can have an inconvenience. These forms include petty thefts, luggage damage as well as flight cancellations. With so many things that can go wrong on a bad day, it is a no-brainer that you should get a travel insurance for EBC Trek. 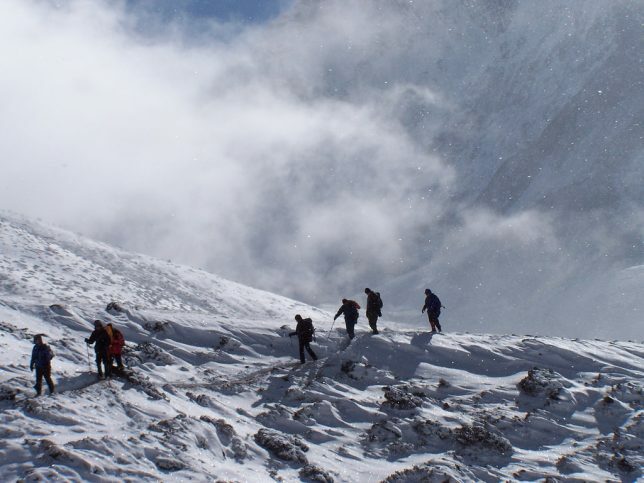 What are the Things That You Need the Everest Base Camp Trek Insurance for? Is Travel Insurance for Everest Base Camp Trek Compulsory? Will I Need Guides and Porters If I Am Insured? Will my travel insurance cover all the problems discussed above? If you have read experiences of different people who have been to high altitudes like Everest, or general preparation guides to the Everest Base Camp, you might have heard of Altitude Sickness. And the name itself is self-explanatory. As you travel to high altitudes, the amount of oxygen that your body gets becomes less as the atmosphere is thin. This means that you might suffer from muscle fatigue, dizziness and in extreme cases hallucinations. And if you are trekking without a porter or a guide, the problem only multiplies as there is no one to give you physical as well as mental support. 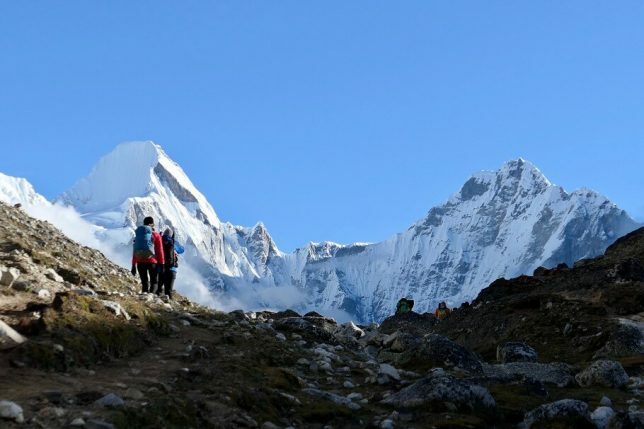 There have been some incidents where people did not treat the problems of altitude sickness seriously which eventually lead to a few deaths in the Everest Base Camp region. And even when you want to get help in the form of a helicopter to take you to hospitals in the middle of the treks when your health breaks down, the costs can range anywhere between 5000 US$ to 10,000 US$. Isn’t that simply breaking your bank? Accidents are a part of our lives. They can take place anytime. But, the probability of accidents increases when you are looking to trek in challenging regions such as Everest Base Camp. Good trekking boots help you have a firm grip and make trekking a pleasurable experience. Despite that, you might slip or pull a muscle. And when you are ascending a mountain, the muscle sprains actually get worse. You might also be someone who gets thrilled about trekking in unpopular trails. Since this not recommended, there might also be rocks where you cut yourself open. And losing blood means losing energy. A travel insurance will come in very handy in case such accidents take place while trekking to EBC. Baggage is the most vital part of your trek. It carries all your personal belongings. The belongings that you carry are expensive too. 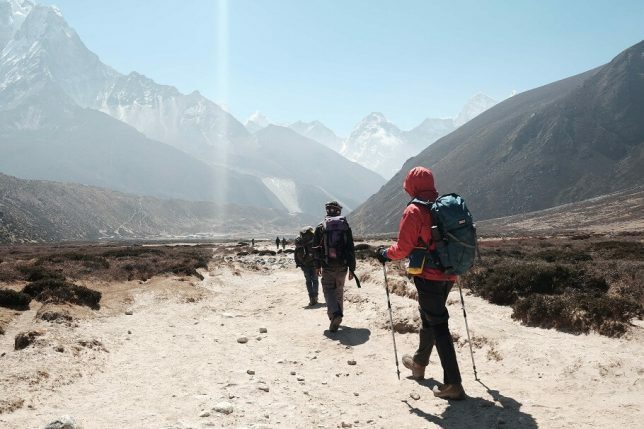 Down jackets, trekking boots, and other water and snow resistant wearable items are the things that you carry while trekking in the Everest Base Camp. And these items are expensive, to say the least. In case your bags get stolen due to petty theft or you misplace your baggage and are unable to retrieve it, a travel insurance will come in handy. 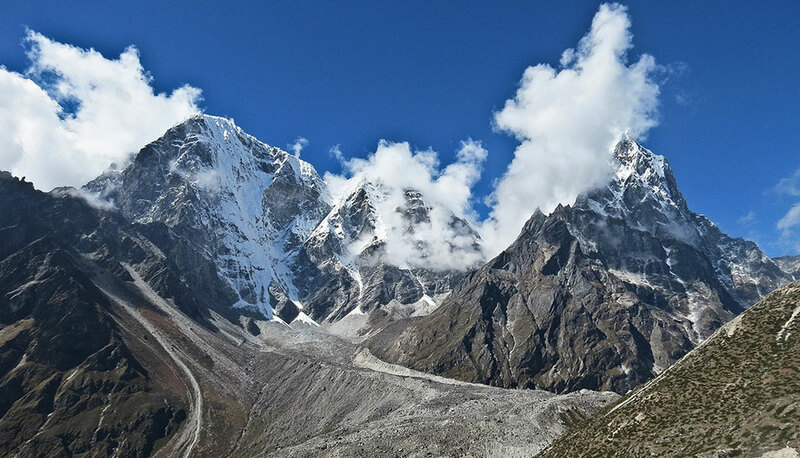 There are also other illnesses that you have to consider while trekking to the Everest Base Camp Region. If you are not careful with drinking pure water or don’t pay attention to personal hygiene, problems such as diarrhea will affect you. And such sanitation problems will result in dehydration which might be turn out to be fatal in the high altitudes. A travel insurance helps you take care of such illnesses. Modern life runs on a tight schedule. So, most people have a limited amount of time they can spend while traveling. A flight cancellation insurance will help you keep the problem of flight cancellation away. Flights can be canceled for a variety of reasons. Bad weather conditions lead the way for the cancellation of trips. Other problems include some maintenance work in the flight itself or problems in the runway. Besides, there will generally be two different flights to take. One of them will be your international flight while the other one will be the domestic flight you take to the Lukla Airport, the airport in the Everest Base Camp region. So when you take a flight cancellation insurance, you need to check if your insurance covers the international flight, domestic flight or both. 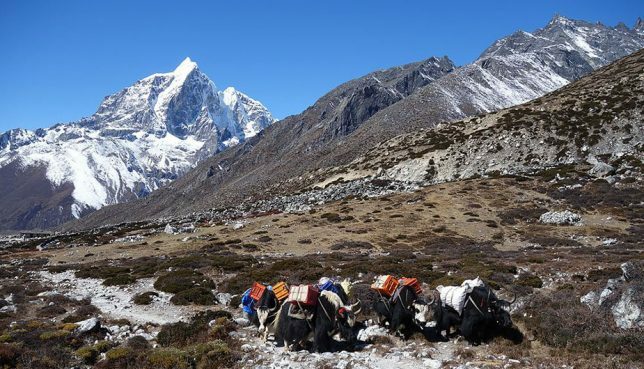 These many problems you can encounter in the Everest Base Camp trek. Therefore the answer to question, “Should I have a travel insurance while trekking to the Everest Base Camp?” is a definite Yes. No, insurance is never compulsory. But every type of insurance is recommended. And the same is true for a travel insurance. Insurance is just a precaution to enjoy your trek freely. If you are coming to any foreign country, you will be out of your comfort zone. There will be people you don’t know and places you have never been. Although Nepal is a very safe country to travel for all the travelers, male and female alike, you can’t always guarantee that nothing will happen to your health or belongings. Getting insured will take your mind off all the worry that you might have about the safety of your belongings. A relaxing trip is often a result of getting insured and forgetting your problems. Guides and porters will always come in handy. The problems you encounter along your way will be greatly reduced if you have a guide/porter by your side. They will have pleasant conversations with you and give you much-needed guidance and physical as well mental support in the case of emergencies. Hiring a guide to the Everest Base Camp can be done with the help of various travel companies in Nepal. When you choose to get insured while trekking to the Everest Base Camp, you need to check with the insurance providing company what services they provide. Some cover only a few of the problems discussed above while others can give you comfort from all the types of problems. Importantly, make sure you choose an insurance policy that covers up to the height of 6,000 meters and a helicopter evacuation in case of emergencies. Your health, your belongings, the fear of cancellation of flights are some things that play in your mind whenever you are planning a trip. The constant worry about these things often results in bad moods that prevent you from relaxing while trekking. Trekking companies providing so much of freedom and so much of protection and safety to you and your belongings. It should not be any surprise that many people are getting a travel insurance for their treks to the Everest Base Camp. You should get one too.